Be the first to share your favorite memory, photo or story of Floy . This memorial page is dedicated for family, friends and future generations to celebrate the life of their loved one. Mrs. Shumake was born in Carrollton, Georgia on November 19, 1925, the daughter of the late E. G. Gentry and Dewie Kilgore Gentry. Mrs. Shumake was a Registered Nurse where she worked for Dr. Roy Denney, Tanner Medical Center and later retiring from Pine Knoll Nursing Home. She was a member of the First Baptist Church. Survivors include her daughter, Phyllis Mayfield of Conyers, Georgia; son and daughter-in-law, Paul and Connie Shumake of Madison, Georgia; four grandchildren; seven great grandchildren. Besides her parents she was preceded in death by her husband, Elton Shumake; sister, Gerri Carpenter and a brother, Brigadier general Tracy Gentry. Funeral service will be Friday, January 18, 2019 at 2 p.m. from the chapel of Almon Funeral Home with Dr. Steve Davis officiating. The family will receive friends at Almon Funeral Home Friday from 12:30 p.m. until the service time. Pallbearers will be Brad Mayfield, Bryson Burke, John Moorhead, Daniel Greenwood, Bill Greenwood and John Greenwood. 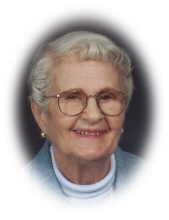 "Email Address" would like to share the life celebration of Floy G. Shumake. Click on the "link" to go to share a favorite memory or leave a condolence message for the family.